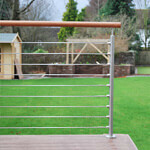 A beautiful balustrade and feature installation which compliment the contemporary & ´quirky´ ambience perfectly. 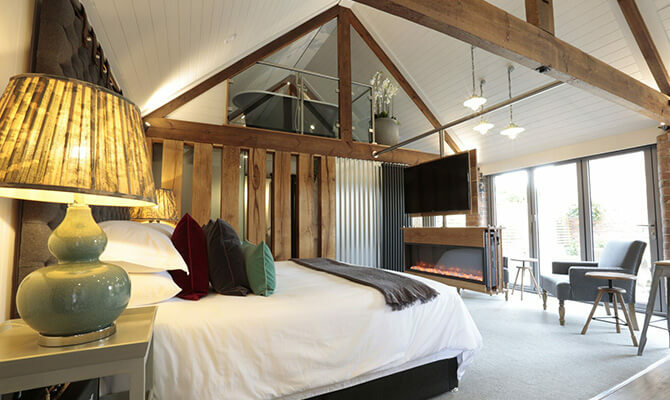 Designed by Vicki Foers the Foundry is one of four studio apartments providing accommodation for The Blacksmiths, a gastropub situated in the picturesque village of Clayworth. 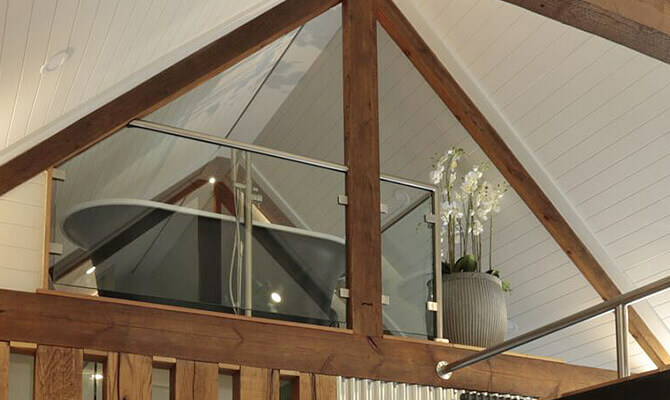 To maximise the flow of light, glass balustrade has been used for the bathroom mezzanine. 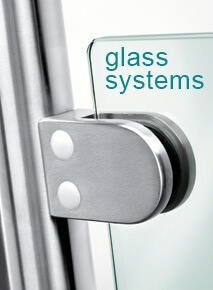 The number of upright posts has been minimised by simply attaching glass clamps directly to the strong timber frame. Custom shaped glass panels have been used to fit perfectly between the timber beams. 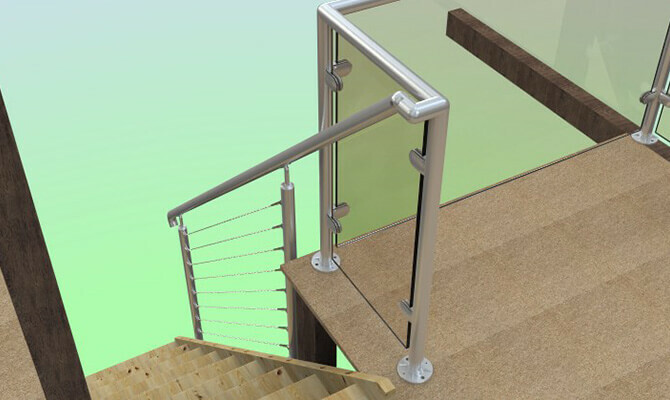 For the staircase wire balustrade infill has been used to provide a light and refined finish, whist at the same time offering strength and safety. 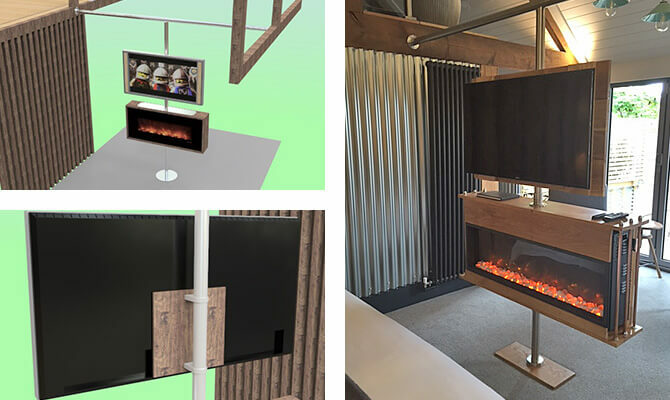 A bespoke design has been used to create a central flat screen television and fireplace hub to this room. 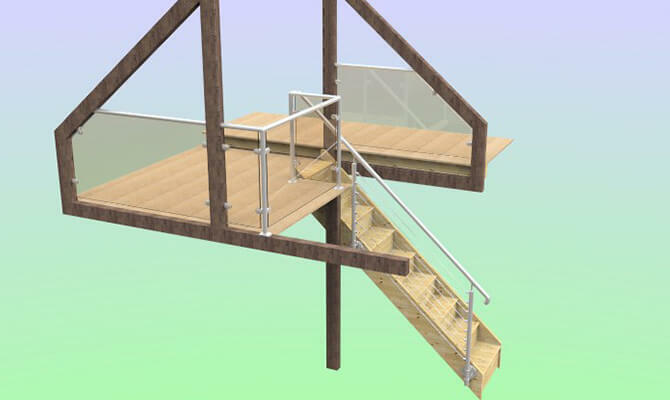 Comprising of a ´T´ shape support connected between two timber beams, using components from our modular balustrade system. 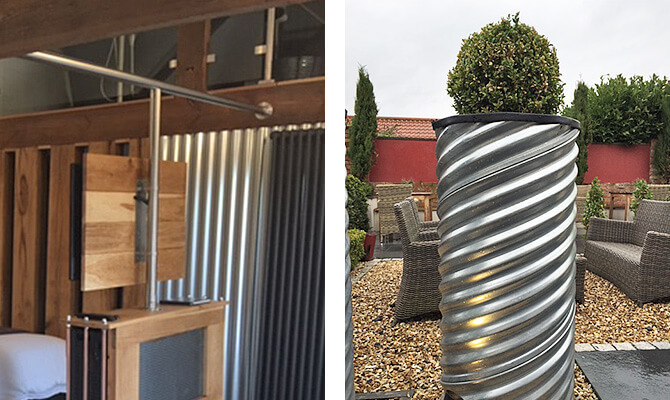 This clever installation allows for each element to be rotated to the position required. Outside in the courtyard an unusual but clever idea, using rubber handrail gasket to finish the edges of the galvanised planters.